Torque wrenches are used to determine or apply the correct level of torque, using a dial or digital readout. 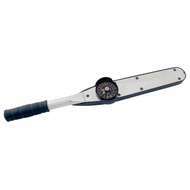 We offer many types of torque wrench both preset torque wrenches and adjustable torque wrenches depending on their usage. 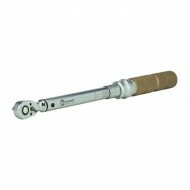 Our range includes torque wrenches from Gedore Torque (Torqueleader), Stahlwille and Bahco. Types include dial torque wrenches, clicker torque wrenches, breaking torque wrenches and slipping torque wrenches. Torque wrench end fittings, inserts and accessories are also listed here.